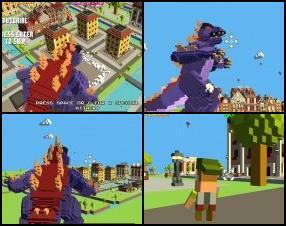 Description: Visit few of the world's biggest cities and protect them from aggressive monster invasions with all possible weapons. Or you can be a monster and show the humans who's really at the top of the food chain. 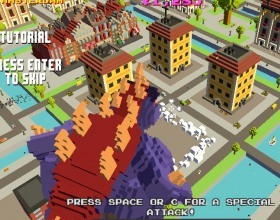 Anyway you'll have a lot of fun playing this pixel 3D graphics game.